The Intel Core i5-540UM is a Ultra Low Voltage dual-core processor for small and light laptops. It is clocked with 1.2 - 2 GHz (if Turbo Boost is enabled). Each core is based on the Nehalem (Westmere) micro-architecture. Hyperthreading enables the Dual Core CPU to handle 4 threads at once (for a better usage of the pipeline). AES, VT-d and Trusted Execution are activated (compared to the 430UM). A feature of the new Core i5-540UM is the integrated graphics card (called Intel HD Graphics) and memory controller. Both are on a separate die that is still manufactured in 45nm whereas the CPU die is already manufactured in the new 32nm process. Due to the integrated memory controller, the HyperThreading and Turbo Boost, the Core i5-540UM is faster than a similar clocked Core 2 Duo (1.2 GHz) in all (us known) applications and benchmarks. Still the Turbo Boost may not trigger very often (sometimes it is even not activated in the BIOS) and therefore the maximum of 2 GHz may not be important. 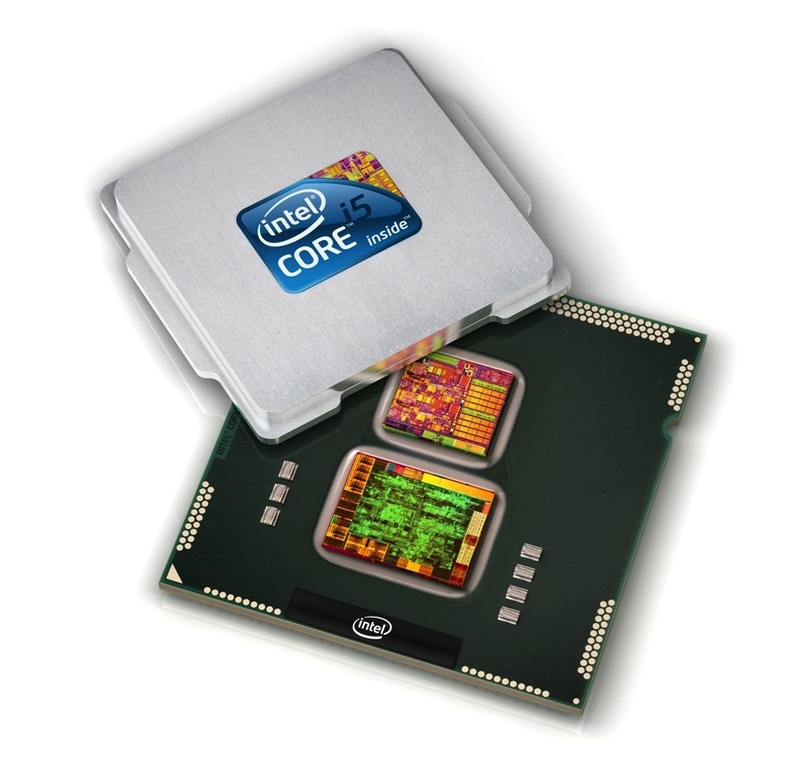 The Intel Core i5-460M is a high end dual core CPU for laptops and clocks (due to the Turbo Mode) from 2.53 to 2.8 GHz. Each core is based on the Nehalem (Westmere) micro-architecture. Hyperthreading enables the Dual Core CPU to handle 4 threads at once (for a better usage of the pipeline). Compared to the Core i5-540M, the 460M does not support AES, VT-d and Trusted Execution functions and features a slower Turbo Boost (2.8 versus 3.06 GHz). A feature of the new Core i5-460M is the integrated graphics card called GMA HD and memory controller. Both are on a separate die that is still manufactured in 45nm whereas the CPU die is already manufactured in the new 32nm process. The performance of the Core i5-460M is on average faster than a 2.8 GHz Core 2 Duo T9800 and in some benchmarks even faster than the fastest Core 2 Duo T9900 (e.g. 3DMark 06 CPU Score). Therefore, the Core i5-460M is a high end dual core cpu which should handle all daily work and gaming tasks. Only the quad core i7 CPUs can be noticeably faster at tasks that require four or more threads (e.g. rendering).